By buying this product you can collect up to 373 points . Your cart will total 373 points that can be converted into a voucher of ₱373 . 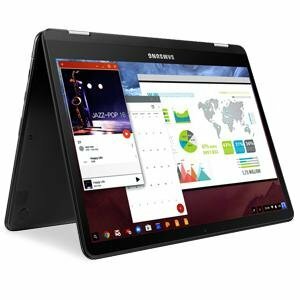 The Samsung Chromebook Pro works at the speed of life. With the power of a Chromebook and the versatility of a tablet, the 360° rotating screen and Intel Core m3 processor help you get things done. Write and create more precisely with the built-in pen. Access your favorite apps right on your Samsung Chromebook Pro. Whether you’re working, playing, or doing both at once, keep going from anywhere, even when you’re offline. 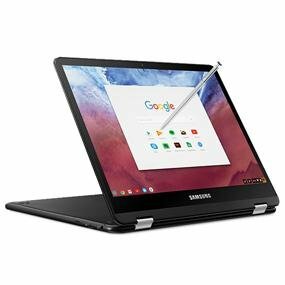 The Samsung Chromebook Pro adapts to whatever you’re doing. Use it like a laptop to work or email. When you need a break, flip the screen so you can play games or catch up on your book. Make your ideas personal and your notes clear with the built-in pen. Whether you’re doodling, sketching, or personalizing a photo, the built-in pen will help you get every detail just right. You can even use the pen to take a screenshot, magnify, or unlock the screen. 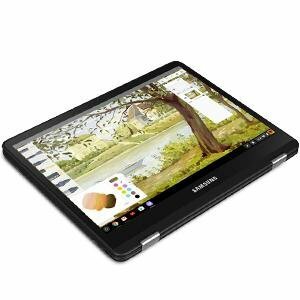 The lightweight Chromebook Pro packs power with a fast and efficient Intel Core m3 Easily run 3D games, video editing programs, and other advanced software. Easily run multiple apps at once. Create a document while staying in the game. And enjoy quick load times for apps and programs.